If youâ€™re new to freelancing or business ownership, you may be unsure about how to set your rates. Even if youâ€™re a seasoned professional, itâ€™s always a good idea to revisit what you charge as you get more experienced, when there are changes in your personal life that alter the amount of time you can work, or you experience some other business-impacting change. 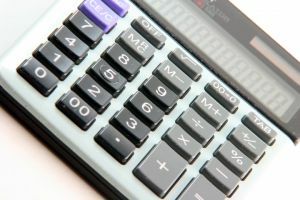 If you like the idea of using an actual calculator, one of the best tools available is the Freelance Boost Hourly Rate Calculator. It takes you through a series of questions about business costs, personal costs, billable time and desired profit, and spits out an ideal hourly rate and a break-even rate. The great thing about this calculator is that itâ€™s really easy to fill out so if you want to play around with the numbers to see how they impact the final rate, you can do so quickly. If you prefer to do the math yourself, you will first want to develop a formula. About.com has a good analysis of what an hourly rate formula should include, from your desired salary, taxes, billable time and overhead expenses. Another good source of information when developing a formula to determine your hourly rate is the article, â€œPay Yourself Right When Being Your Own Boss,â€� on Salary.com. It’s also a great reminder than when you are self-employed, you are responsible for your own healthcare, insurance and vacation/sick time and need to factor that into your rates. You should also check out â€œHow do you rate?â€� by Neil Tortorella on Creative Latitude. Once you have an idea of a rate from a calculator or a formula, you need to apply it to the â€œreal world.â€� You will want to consider the market for the services you offer and your experience. And donâ€™t underestimate the emotional side of rate-setting. While you want to select a rate that is fair and acceptable to potential clients, you also want to be happy with the rate you select. Not charging enough can be a quick path to burning out and may create feelings of resentment and dissatisfaction if you feel you are being underpaid. Setting an hourly rate is a very individual process, and sometimes takes a little trial and error to get it just right. So do your research, create a starting point and get out there and log some billable time.